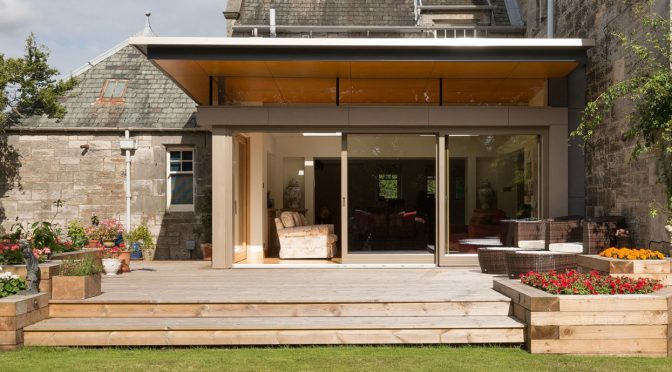 A sensitive contemporary addition, creating a new living space directly linked to the garden. 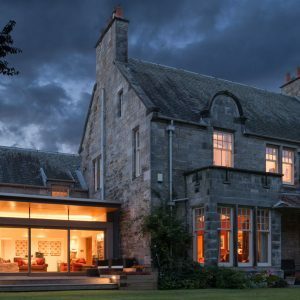 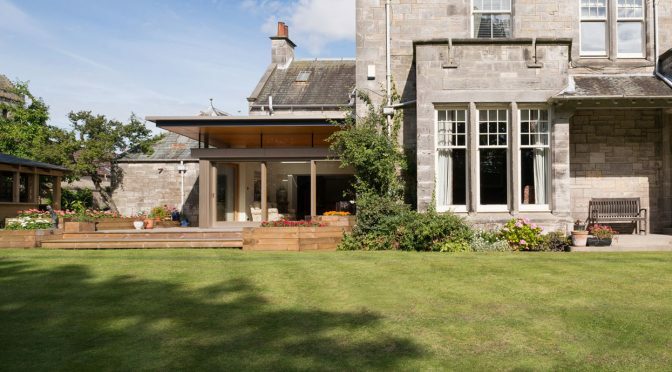 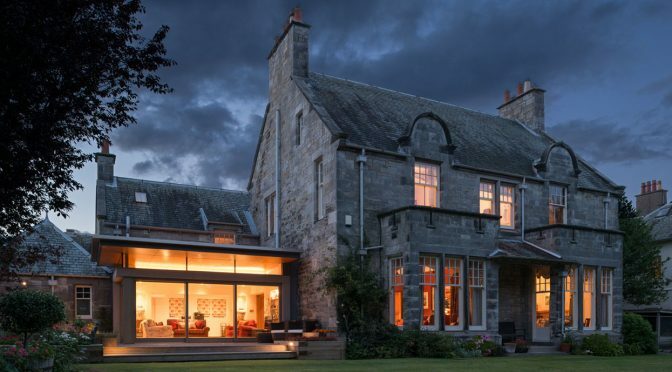 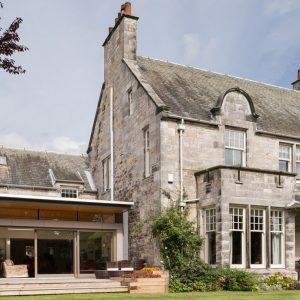 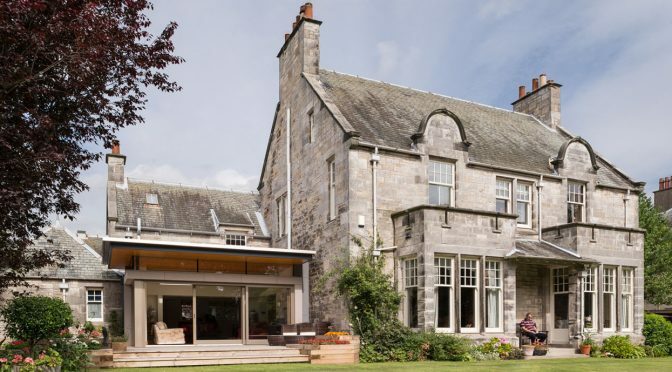 This project for a private client involved adding a small sunroom to an attractive stone villa set within a Conservation Area in St Andrews. 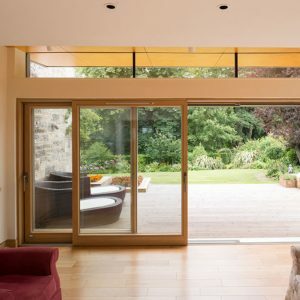 We have delivered a sensitive contemporary addition which creates a bright, open, joyful space which effectively expands the heart of the house. 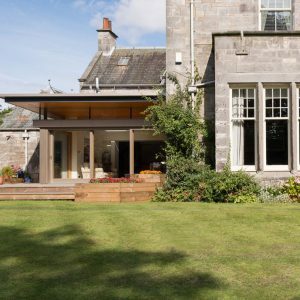 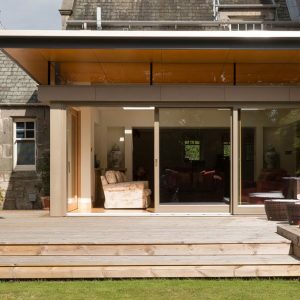 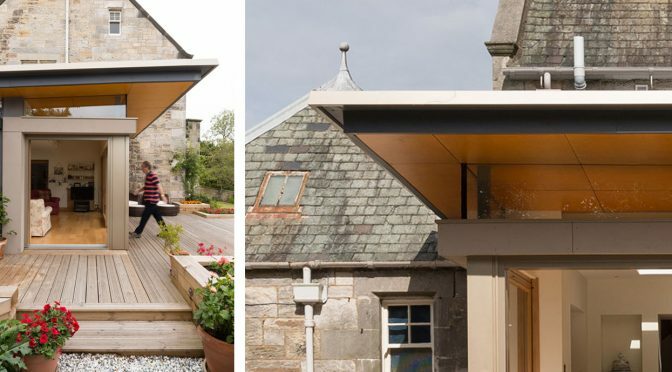 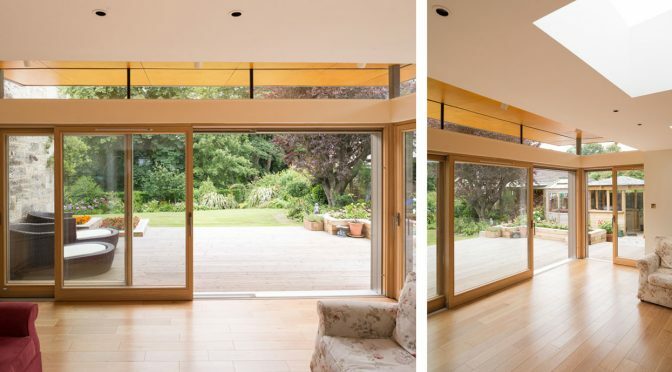 The key intention was to create a tangible and direct connection between the house and the garden, which is achieved by full-height sliding doors which open to a timber deck and then to the garden beyond. 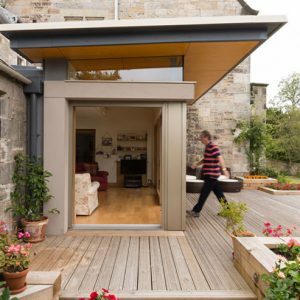 The project won a DIA 2016 Award in the Small Project category.